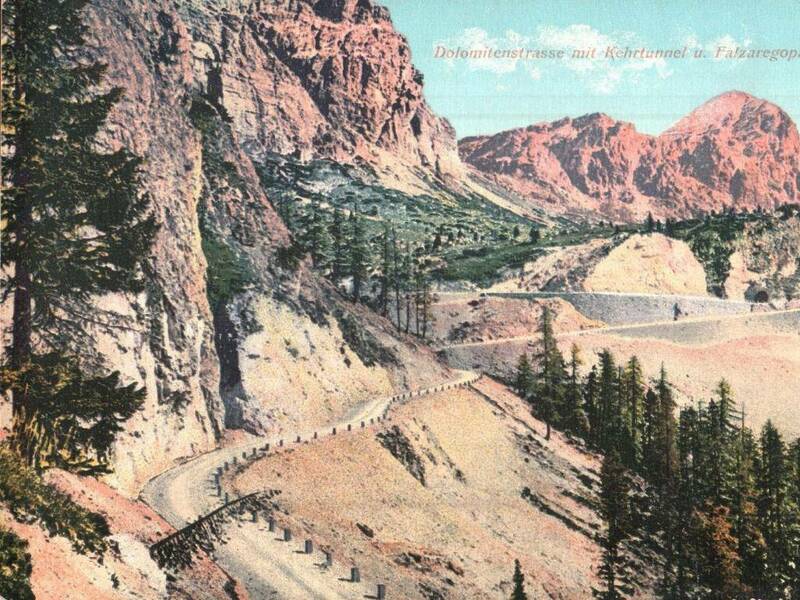 On September 13th 1909 the road section of the The Great Dolomites Road between Arabba and Cortina was inaugurated. 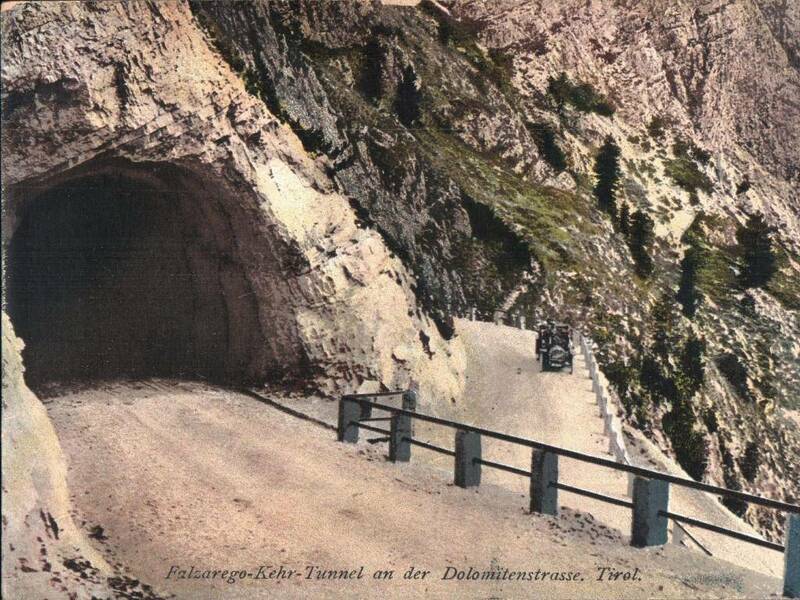 An event of global relevance, which was designated in European and American newspaper articles as one of the most important works of engineering of the new century. 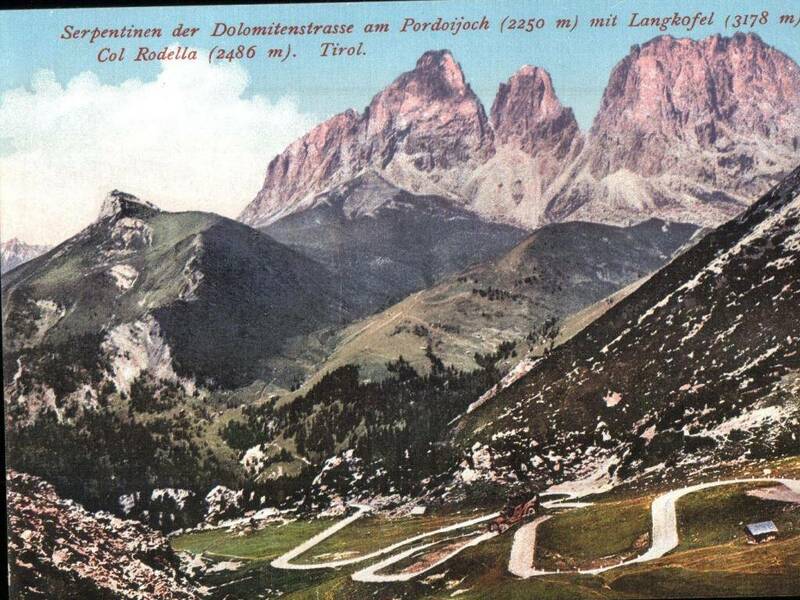 With the opening of this road section the project of the Great Dolomites Road was completed. 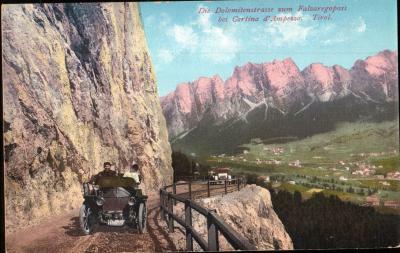 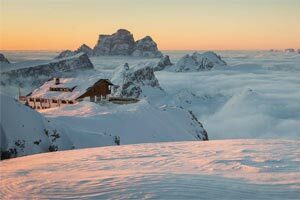 The project started in 1901 due to the development of tourism in the Dolomites and thanks to the far-sighted tourism pioneer Theodor Christomannos. 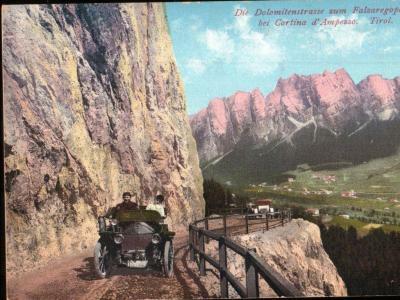 The construction of the Great Dolomites Road, an investment of enormous proportions, was strongly supported by the Austro-Hungarian Government and by the municipalities of the area, as well as by citizens and entrepreneurs. Connecting Bolzano with Fassa, Livinallongo and Cortina, this road has been capable of linking up the whole Dolomite area crossing Dolomite passes which were considered insurmountable until then. 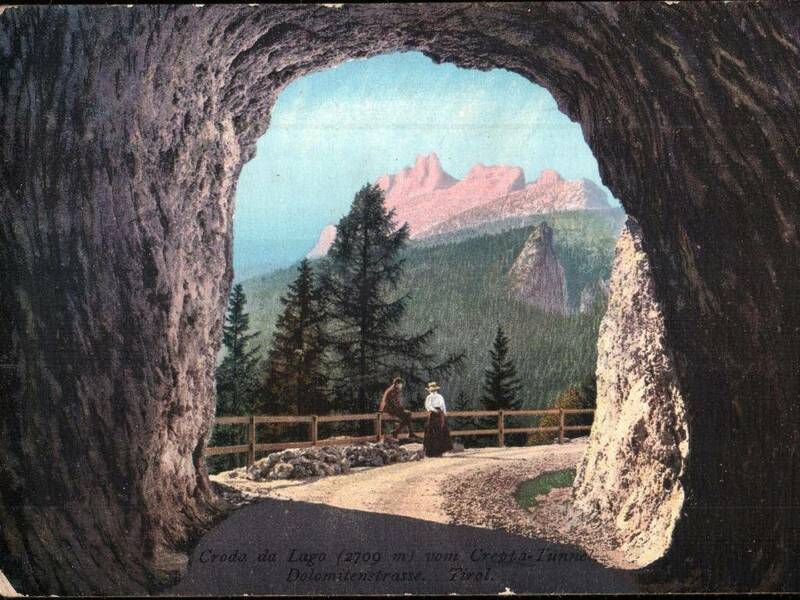 The opening of the Dolomites to international tourism took place in the second half of the 19th century. 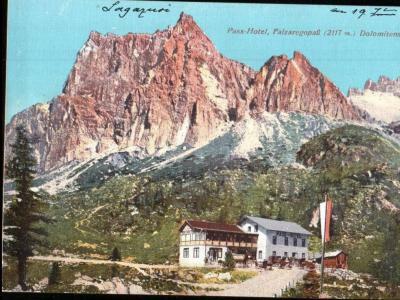 At the beginning of the 20th century, some of the most famous hotels of Cortina and Canazei were under construction or even finished. The First World War interrupted this natural tourist development. The Great Dolomites Road was overlapped at several points by the front line and thus used for war purposes. In the first and second post-war period, this road has made it possible to relive the tourism in this rough mountain area and to confirm the Dolomites as an international mountain resort. 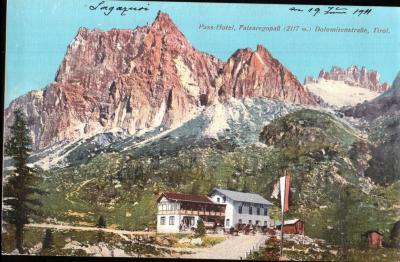 It was a very important event from both economic and symbolic points of view. 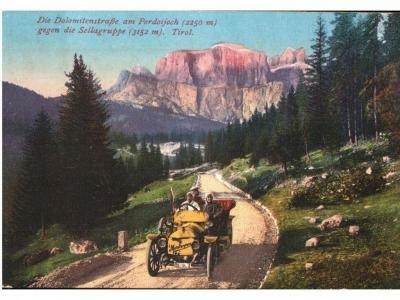 It can thus be said that it is also thanks to the building of this road that the Dolomites are the much loved tourist destination they are today. 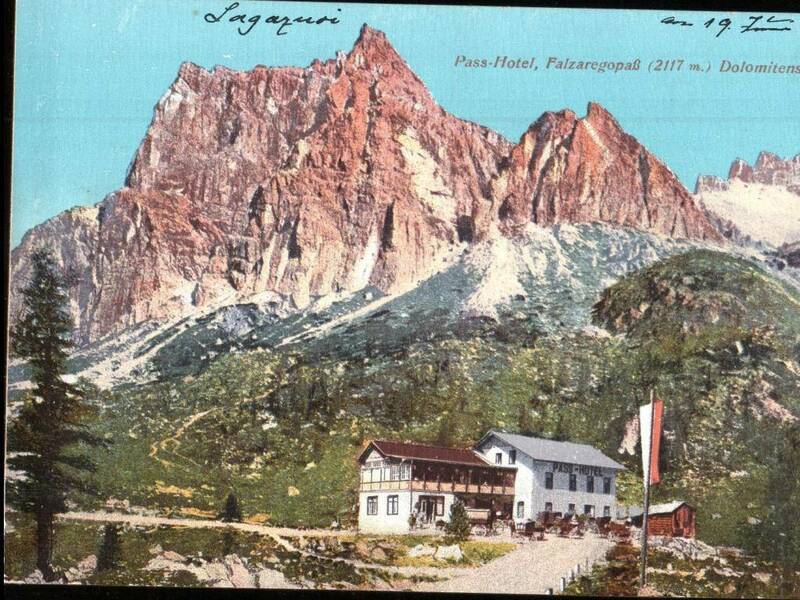 Subsequently the local population, used to harsh mountain life, could turn to new activities, thanks to the large numbers of tourists passing through the area, opening hotels and restaurants to cater for the growing numbers of tourists.